Who’s been eating my snacks? Everyone loves a little treat – something sweet or savoury, sour or salty – that little nibble or large nosh to quell a craving or calm a catastrophe. 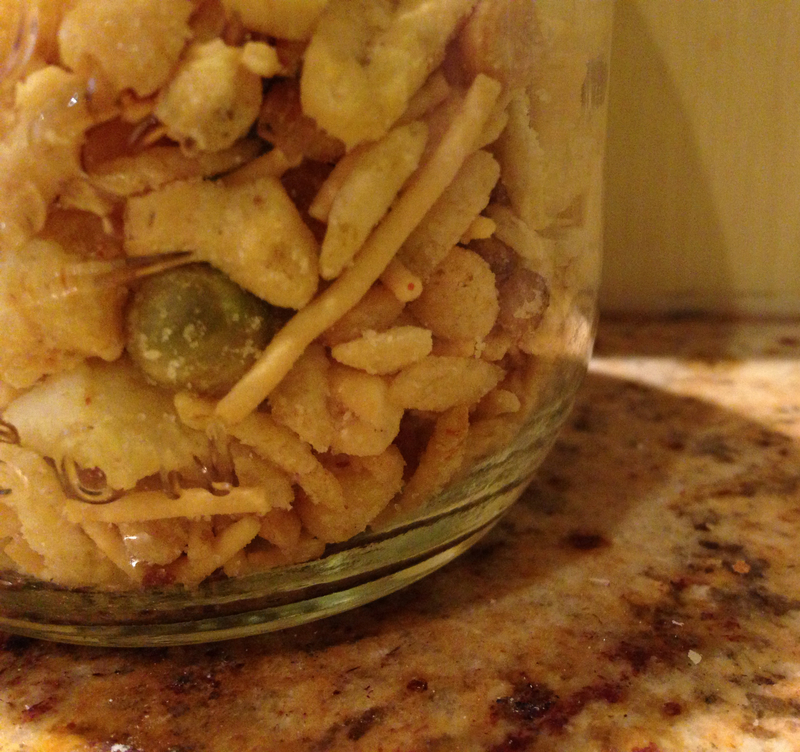 Indian snacks take indulging our tastebuds to the next level – a mason jar of bhel puri is the exotic equivalent on the satisfaction scale of a cheesie (without all the unpronounceable additives)! This week images are predominantly one colour at Cee’s Fun Foto Challenge: Colorful Monotone – Have a look at the range of hues, shades and variations displayed there! Now I’m starving again! I’m guessing this is only available in specialty shops? Looks yummy and ohhh so perfect for this challenge. Thanks so much for adding to the fun of this challenge!!!! Honest it wasn’t me who ate your snacks but if I was nearer…………………….. I have a few bags in hiding for special guests!